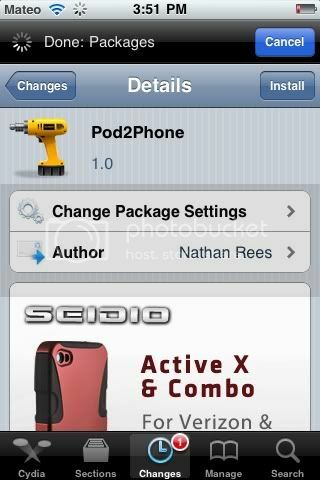 New tweak in Cydia, Pod2Phone, changes your IPod touch into an iPhone. It will only look like an IPhone and will not work like an IPhone. Works only for IPod Touch 4th Generation on IOS 4.3.1 . Free on Cydia. Search for it.